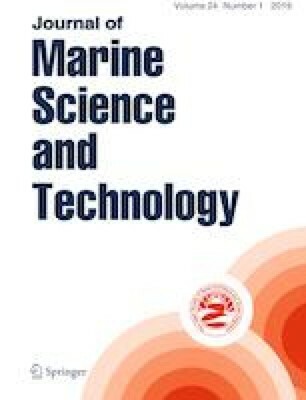 This paper analyzed the hydroelastic behaviors of hydrofoils and marine propellers immersed in incompressible, inviscid and irrotational fluids. Strongly coupled fluid–structure interaction analyses were performed using a three-dimensional (3-D) potential-based panel method in conjunction with a 3-D finite element method. The present method is developed for hydroelastic analyses of geometrically complex-shaped propeller blades, and the application of the method to the hydroelastic problems of hydrofoils is straightforward. The parameters dominating the added-mass and -damping matrices of the hydrofoils and propellers are examined. The effects of the translational motion of the hydrofoil and the rotational motion of the propeller on the added-mass and -damping matrices are compared based on different non-penetration boundary conditions and distributions of the inflow velocity. It is found that for hydroelastic analyses of propellers, the reduced frequency, i.e., the ratio of excitation frequency to rotational frequency, is a key parameter for determining the added-mass and -damping matrices of the propellers. The effect of the advance ratio on the added-mass and -damping matrices of the propeller blade depends upon the ratio of excitation frequency to rotational frequency. For hydrofoils, the added-damping matrix is significantly affected by the ratio of the excitation frequency multiplied by chord length and divided by axial inflow velocity. This work was supported by National Natural Science Foundation of China (Grant Nos. 51839005, 11602138, 51579109 and 51479079).